March 2 marks the passing of Heinrich Olbers. Olbers was a German physician and amateur astronomer who devised a simple method to calculate the orbits of comets and discovered two large asteroids, Vesta and Pallas. He also believed the asteroids were remnants of a wrecked planet that orbited the Sun between Mars and Jupiter. Olbers is also known for the question “Why is the night sky dark?”. If you assume that the universe is infinite and filled with an infinite number of stars then any direction you look you should see the light from a star. This would mean the night sky should be as bright as daylight. It only takes one evening to see this premise is not true. The night sky dark with many points of light. If the night sky isn’t dark, then the universe cannot be either infinite or filled with an infinite amount of stars. This brings up other questions. Is there an outer limit of the universe? Does this edge move? Are there distant stars so far away where the light hasn’t had time to reach us yet? This question is known as Olbers’ Paradox and had actually been around since Kepler in 1610. 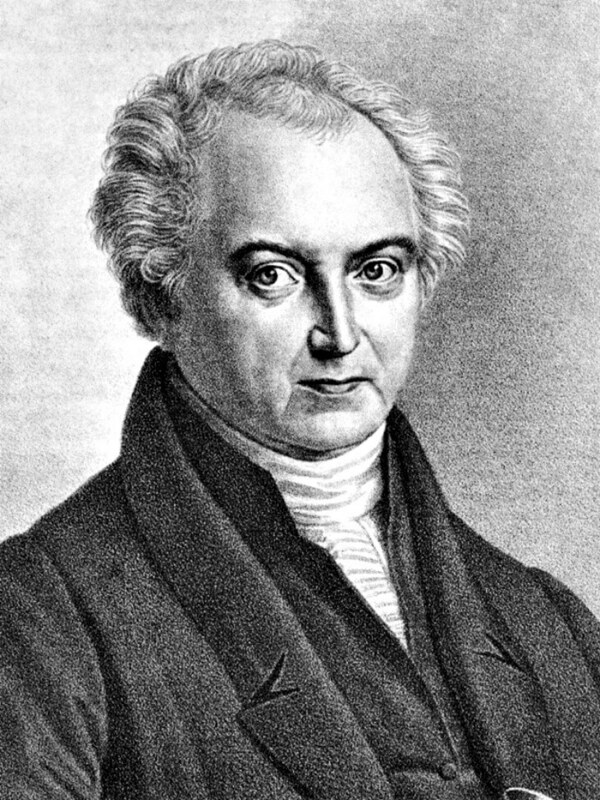 Olbers reintroduced the topic into the general discussion in a paper he published in 1823. This is where the question got its popular name. 1972 – NASA launches the Pioneer 10 space probe. 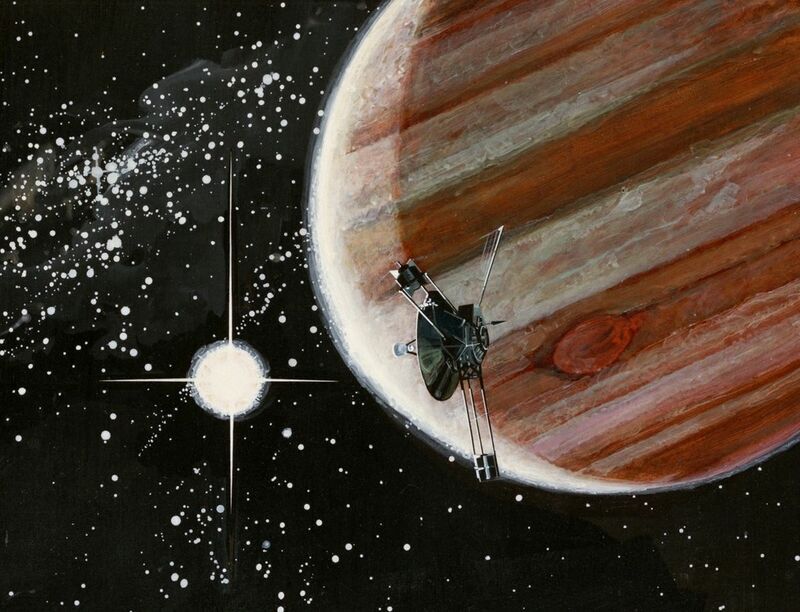 Artist’s impression of Pioneer 10 at Jupiter. Pioneer 10 was the first spacecraft to pass through the asteroid belt and take direct observations of the planet Jupiter. It also became the first to leave our solar system. 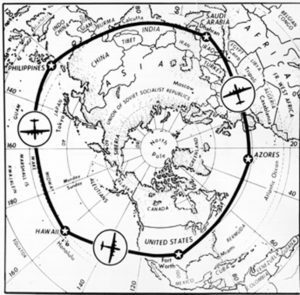 1949 – American pilots complete first non-stop around the world flight. 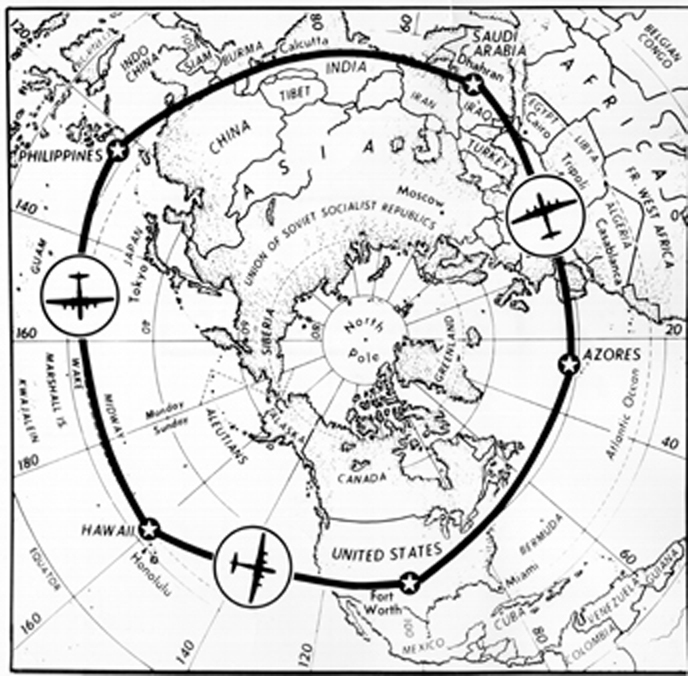 Polar view of the flight path of the Lucky Lady II, the first non-stop circumnavigation flight. The Lucky Lady II, an American B-50 Superfortress completed the first non-stop around the world flight. It took off from an Air Force base in Fort Worth, Texas and landed again after just over 94 hours and 23,452 miles. The plane was refueled mid-flight four times by KB-29M Superfortresses from Air Force Bases in Saudi Arabia, Phillippines, Hawaii, and the Azores. 1939 – Howard Carter died. 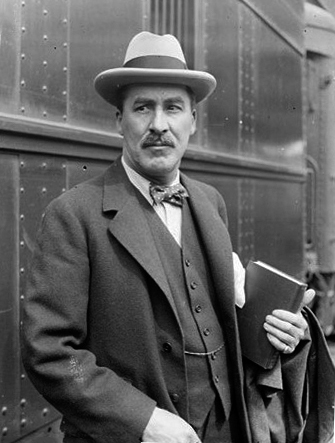 Carter was the English archeologist who specialized in Egyptology. He gained world fame for discovering Tutankhamun’s tomb in the Valley of Kings. The tomb was undisturbed and contained a wealth of antiquities and a glimpse into the burial practices for Egypt’s pharaohs. 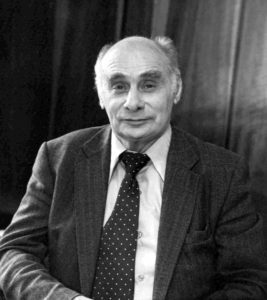 1913 – Georgii Nikolaevich Flerov was born. Flerov was the Russian physicist who recognized the spontaneous fission of uranium. He set up several research centers into nuclear science and was a direct influence on nearly every Russian nuclear scientist. One laboratory he set up was the Dubna laboratory which synthesized many transactinide elements. Element 114 (Ununquadium) was named Flerovium in 2012 in his honor. 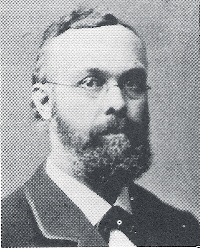 1887 – August Wilhelm Eichler died. Eichler was a German botanist who created one of the first plant classification systems. He divided plants into four phyla: Thallophyta, Bryophyta, Pteridophyta, and Spermatophyta. 1840 – Heinrich Wilhelm Matthäus Olbers died.